They say that one of the most dangerous places to be is between a mother bear and her cubs. But how about coming between the mother bear and her protector? Ulfsaar is a member of the Ursa, a fierce, bipedal, bear-like race. Born from a violent history, marked by wars between the tribes, they now share the same beliefs, worshipping the Spirits of the Wild, the Ancestral First Bear, and having the belief that each individual has their own personal spirit, one that keeps the individual safe. Ulfsaar is the fiercest of his tribe’s protectors, one of the males that work to protect their cubs, along with the mothers, while they hibernate during the winter. Ulfsaar himself was even trained for a time by Sylla, the ancient Lone Druid, although even he could not withstand the Ursa’s vicious fury without consequence, losing a finger to the bear. While he is a proud and natural warrior, Ulfsaar is a defender at heart, protecting his tribe, his allies, and the land itself from threats. And so, when he heard rumours of a spreading evil, one that threatened to endanger all that he held dear, he left his tribe to track it down, to destroy the malevolence before it could even come close to causing harm to his tribe. To the Ursa, armour is not used as protection; instead, each bear’s Personal Spirit is all the defence that they require. Armour is, therefore, mainly ceremonial, whether to honour the past or used as a trophy to show a bear’s worth – it is made from the prey of the hunter. In Ulfsaar’s case, it seems he is a very skilled hunter indeed. He has armour made from the carcass of Ravagers, spined creatures that are sacred for the Ursa to hunt, allowing them to prove their worth in combat, and also make their own ceremonial garb, using the entire carcass to create a set. One of Ulfsaar’s most deadly prey seems to be the Razorwyrm, a draconic, deadly creature that the fierce bear was able to slay, taking its bones and scales to make into a set of imposing mail. 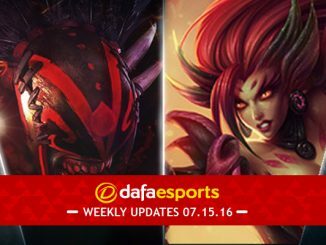 As can be expected from a protector of the wilds, those who share his goals are staunch allies of the Ursa Warrior. Sylla, in particular, even if he did lose his finger to Ulfsaar, is still happy to fight alongside his former pupil against the forces of darkness, to protect the land from any evil that may seek to corrupt and pervert its nature. 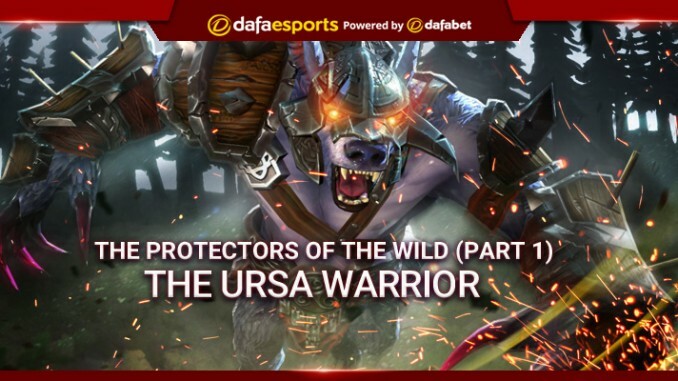 The Ursa also shares a common goal with Aiushtha, the Enchantress, and Kaolin, the Earth Spirit, aiming to protect those who cannot fight, to make sure to prevent the rise of those who would destroy all that they hold dear. The Ursa Warrior is a proud defender first and foremost, although his vicious exterior is all that his enemies will know. Rending flesh with tooth and claw, he fights with the fury of a mother bear protecting her cubs, working to keep his tribe safe, putting himself in harm’s way to protect those he cares most for.